The Wizards entered the All-Star break with a 33-24 record, good enough for the fourth best record in the Eastern Conference. And if you said ahead of the season that John Wall would miss 20 games (and counting) to go along with some locker room drama, I think all fans would have been OK with this outcome 2⁄3 of the way through the season. But, now that All-Star Weekend has come and gone, the Wizards must regroup, and quickly, as they are about to enter one of the most daunting stretches of the season. On January 30th, when the news broke that John Wall would have to undergo yet another knee procedure, many wondered how the Wizards were going to right the ship and stay afloat in the Eastern Conference race without him. Washington was able to go 7-2 over that nine-game stretch with impressive wins over the Oklahoma City Thunder and Toronto Raptors. The unfortunate news for Washington is, all of the teams trailing them in the 5-9 seeds (aside from the Miami Heat), also played very well in the leadup to All-Star Weekend boasting at least a 6-4 record over the previous 10 games. And with only 3.5 games separating the 4-seed and 8-seeds, there’s not a lot of room for error for the Wizards as there is bound to be plenty of shuffling in the standings down the stretch. The scheduling fairies did the Wizards no favors as they have one of the toughest remaining schedules in the NBA. The Wizards must pick up where they left off and quickly as they take on the new-look Cleveland Cavaliers in Cleveland this Thursday in their first game after the break. Washington will then embark on their version of a hell week as they take on Philadelphia, play at Milwaukee, Golden State, Toronto, and Indiana; all in just an eight-day span. And as if playing the Warriors wasn’t already hard enough, Washington will take on the defending champs in the second half of a back-to-back after playing in Milwaukee the night before. And remember how the ‘Too Cool for School Wizards’ had trouble knocking off sub .500 teams early in the season? Well, that could come back to haunt them as only seven of their remaining 25 games are against teams with sub .500 records including the Charlotte Hornets twice, a team that Washington has struggled with this season. To make matters worse, the Wizards only have four games left (New York, at Chicago, Atlanta, at Orlando) against likely participants in the 2018-Tank-A-Palooza. Washington better bring their A-game as only the Indiana Pacers have a tougher remaining schedule than the Wizards for teams seeded 4-9. The Milwaukee Bucks have a slightly easier remaining schedule than the Wizards, however, it’s the Miami Heat and Philadelphia 76ersthat have the easiest and second easiest schedules respectively in the league over the final third of the season. In fact, the 76ers, who’re currently just two games behind the Wizards, have such a favorable schedule that ESPN’s 538 predicts that they’ll catch Washington as both teams are projected to finish with 46 wins. Yes, the Wizards’ recent 7-2 run without John Wall has been impressive. But outside of the Oklahoma City and Toronto wins, four of those wins came against lottery-bound teams (including overcoming a 27-point deficit against the lowly Knicks) as well as knocking off an Indiana Pacers team missing two of its top players. 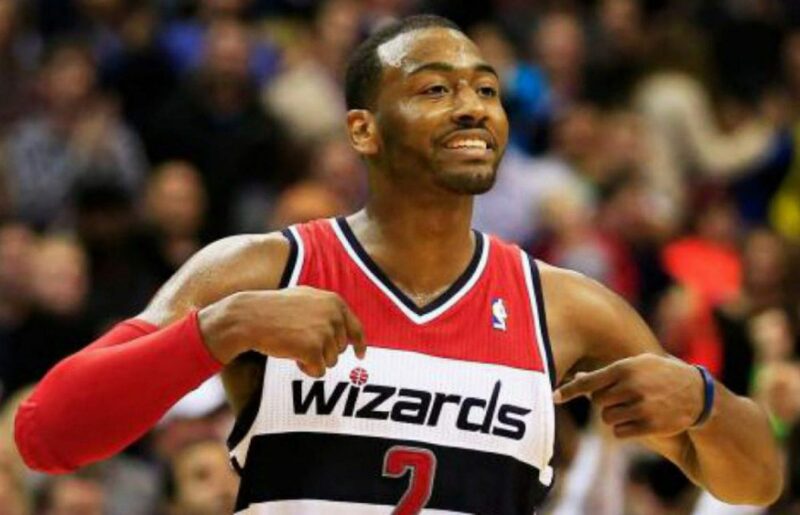 With John Wall expected to be out until mid-March, everyone needs to continue to eat for the Wizards to play at a high level and finish the season strong. The path to the Eastern Conference Finals will get that much harder should Washington struggle down the stretch and slip into the sixth, seventh, or even the eighth seed.